This is the boat on which Claude Monet used to paint at Argenteuil, where he lived in 1874. 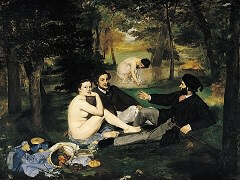 This work, executed rapidly and signed on the boat itself, raises for the historian the question whether Manet or Monet was the first to paint outdoor pictures in the Impressionist sense of the term, that is to say in the full light of day. 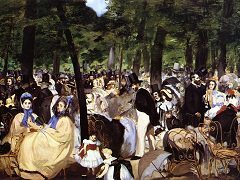 It would seem that it was Monet with The Picnic, 1865-66, who first let the light play among the branches and outlined his figures with patches of sunlight. 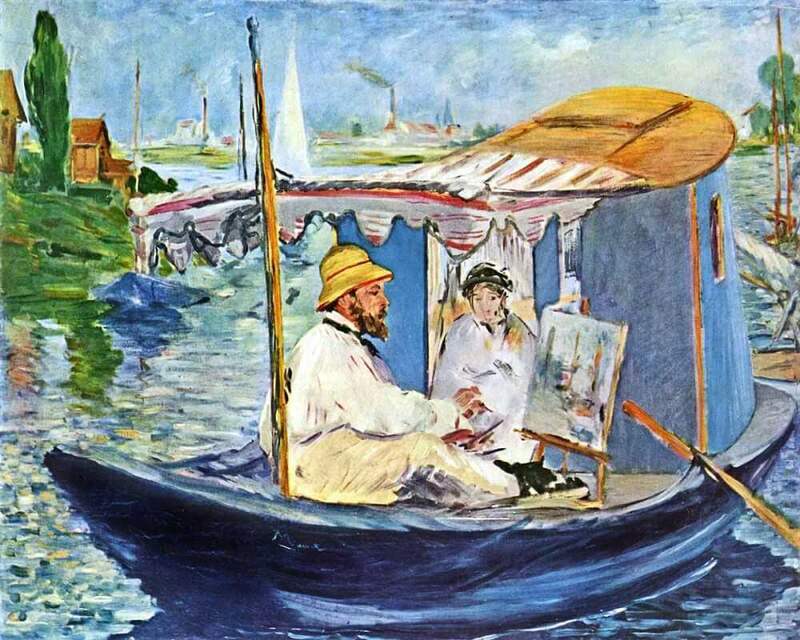 While he was working in his floating studio, Monet was very short of money and was obliged to ask for help. 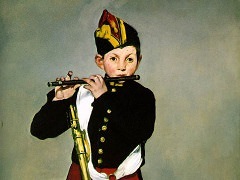 "Here I am again without a soul," he wrote to Manet, asking for a loan of fifty francs one day, twenty francs another. "I have got into the hands of a bailifFwho can cause me a lot of trouble. He has given me until midday." 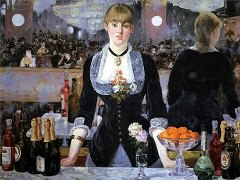 Manet was generous, as usual. 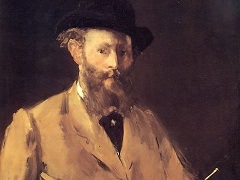 Antonin Proust says that in his studio he placed his friend's canvases in a good light," being anxious to find buyers for them and not troubling about his own. 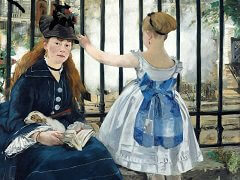 Claude Monet's pictures enjoyed his special favor at these exhibitions. 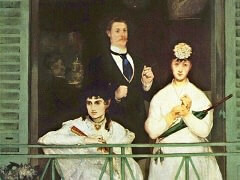 He had painted Monet on a boat and was particularly fond of this canvas, which he called Monet in His Studio.